…roots go back to 1938 when Anthony Tosi and his wife, Henrietta, opened a small summer resort in Stevensville to serve the Italian community of Cicero, Illinois. The resort had eight small cabins and a large common hall and was open from Memorial Day through Labor day to visitors from the Chicago area seeking the sun and sand of Lake Michigan and the special taste of Grandma Tosi’s exceptional northern Italian food. Grandma Tosi declined, saying she already had all the work she could handle. But her son, Emilio, knew a good thing when he saw it, and so, in 1948, Tosi’s Restaurant, a full-fledged eating establishment with room for 100 diners, opened to the public. The Menu featured many of Grandma Tosi’s favorites plus several more dishes created by Emilio himself. Under Emil, Tosi’s energetic and creative leadership, Tosi’s Restaurant prospered and grew, with major additions in 1955, 1960 and 1964 that increased seating capacity from 100 to its present 280. Each addition was lavishly decorated with antiques and various works of art brought back from Italy by Emil Tosi on his many trips back to the land of his ancestors. The restaurant is widely known for the quality of its service and authentic northern Italian cuisine. In 1965, was named by Time Magazines as “one of 22 restaurants (in the U.S.) well worth the trip. “And in 1997, Tosi’s was one of only 2,052 restaurants worldwide to be listed in Wine Spectator Magazine’s 1997 Annual Guide To Great Wine Lists and Distinguished Dining Establishments! 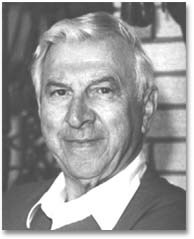 In 1973, Emil decided it was time to retire and sold his restaurant to Herman Berghoff, a member of the famous Berghoff family, well known Chicago restaurateurs. Berghoff owned and operated the restaurant, maintaining both the original staff and menu, for the next ten years before selling it in 1983 to Charles and Ginger Mostov of St. Louis. Ginger Mostov was an accomplished chef, having operated the kitchen at Duff¹s, a St. Louis restaurant well-known for its French cuisine. Charles was an attorney with a warm personality and promotional flair that worked very nicely in the front of the house. Tosi’s Restaurant continued to flourish under the direction of the Mostovs, and in 1986, was cited by Wine Spectator magazine as having one of the finest restaurant wine lists in the world. Tosi’s currently maintains a wine cellar with over 120 different wines from all over the world. The Mostovs also continued the Tosi tradition of visiting Italy on a regular basis to study the local cuisine and area restaurants to acquire new recipes and cooking techniques for the Tosi’s kitchen. And in May 1986, the Mostovs broke new ground by taking 21 employees to Italy to visit some of the finest restaurants, trattorias, and vineyards in northern Italy, and work alongside some of the finest chefs in that part of Europe. In 1987, the Mostovs, wishing to move to California, offered house manager Marge Wiatrowski and chef Gary Manigold the opportunity to become co-owners of the restaurant with them and take on the chore of day-to-day management. The offer was accepted and for the next nine years, Wiatrowski and Manigold, as co-owners, operated the restaurant on a full-time basis, with Mrs. Mostov returning each summer to work alongside Chef Manigold in the kitchen. a second restaurant, Caffe Tosi, in downtown St. Joseph, a small city just a few miles north of Stevensville. It was an immediate success and today, although no longer owned by Tosi’s Restaurant, is one of St. Joseph’s favorite eating places. Described by its owners as an Italian deli, Caffe Tosi specializes in fine coffees and “upscale” fast food items. On March 1, 1996, Marge Wiatrowski and Gary Manigold purchased the balance of the business from Ginger Mostov and became equal partners and co-owners of Tosi’s Restaurant. Both vowed to maintain long-standing Tosi’s traditions of quality food and drink, warm hospitality and authentic Italian cuisine. Wiatrowski, a native of Northville, Mich., joined Tosi’s in 1968 as a cocktail server and a few months later was promoted to waitress. She remained with the restaurant when Emil Tosi sold it in 1973. In 1984, then owners Charles and Ginger Mostov asked her to work the front desk one or two nights a week, and soon after promoted her to front-of-the-house manager. Manigold began working in the Tosi’s kitchen in 1983 as one of several cooks under Ginger Mostov. Raised in nearby Three Oaks, Mich., Manigold has worked in the restaurant business since he was 12 years old. He was named Tosi’s executive chef in 1993. Since taking over, the new owners have made several major improvements to the restaurant. In 1996, they converted the restaurant’s Florentine Room into the Florentine Grill, complete with authentic Italian wood-burning oven, and completely renovated the restaurant’s Italian courtyard, including the installation of a walled exterior and all new landscaping. In the spring of 1997, they completely rebuilt the restaurant’s screened-in patio and renamed it the Saraceno Veranda. The veranda features an authentic Italian balustrade and columns. Also added in 1997 was Emil’s Hideaway, an intimate cigar smoking lounge located on the second floor of the restaurant in what used to be Emil Tosi’s apartment. Most recently, in the spring of 1998, a major renovation of the restaurant’s upper-level dining rooms was completed. Under the direction of Sam Rosenberg, one of America’s finest and best known architectural designers, they were literally transformed by into a small piece of northern Italy, named, appropriately, the Cortina and Tuscany Rooms. comfortable new chairs … carved wooden chandeliers … and soft, country colors … all blend together to create a warm, inviting atmosphere. Equally important, the larger of the two rooms, the Tuscany Room, can seat up to 200 people … or be divided into three separate, sound-proofed rooms for private parties. Emilio Garibaldi Tosi, the founder of Tosi’s Restaurant, died peacefully in his sleep Saturday, July 17, 1999. He was 84 years old and had been in failing health for some time. But his legacy, Tosi’s Restaurant, one of the finest dining establishments in America, lives on. Emilio Garibaldi Tosi was born to Anthony and Henrietta Tosi February 12, 1915, in Cicero, Illinois. In 1938, the family moved to Stevensville, Michigan and opened a small summer resort that catered primarily to Italian friends and acquaintances from the Cicero area. One of its main attractions was Grandma Tosi’s marvelous Italian cooking, which she prepared exclusively for her summer guests. In 1948, Emil purchased the business from his parents and opened Tosi’s Restaurant, featuring many of his grandmother’s recipes. Over the next 25 years, under his energetic guidance, Tosi’s Restaurant nearly tripled in size and became known as one of the best restaurants in the Midwest. Emil Tosi sold the restaurant in 1973 and retired from active participation in the business. Thanks to the solid foundation he created, Tosi’s Restaurant is still in business today and continues to rank as one of America’s finest dining establishments. “In remembrance … the employees of Tosi’ s … both past and present … wish to express their sadness on the passing of Emil Tosi, who first opened his family’s restaurant in 1948. It didn’t matter to Emil that the restaurant was located off the beaten path. “You can build a restaurant in a swamp and if you serve good food, people will find you,” he once said … and that was so true. Establishments. The restaurant also was featured in a recent front-page Chicago Sun-Times food section article because Tosi’s still features some of the same dishes on its menu … including Grandma Tosi’s chicken cacciatore … that it served when it first opened, a rarity in today’s hurly-burly restaurant world. Gary Manigold, co-owner and executive chef since 1987, has sold his interest in the restaurant to Marge and Arnie Wiatrowski and moved to Chicago. We will miss Gary; he was a fine chef and a good friend whose steady hand and great talents contributed mightily to the growth and success of Tosi’s Restaurant. We wish him well. Replacing Gary was our next executive chef was **Ryan Thornburg**, formerly sous chef at the Bistro On The Boulevard in St. Joseph. Ryan was born and raised in nearby Watervliet. Following his graduation from Lake Michigan College, where he earned an associate’s degree in culinary arts, he worked with Chef Manigold in our kitchen from 1992 to 1996. Ryan will be responsible for managing all aspects of our kitchen operation. We are delighted to have Ryan back with us. Longtime front-of-the-house personality Dan McCrery has been named house manager and will be responsible for managing all aspects of the business associated with the front of the house, including the serving staff and bar operations. Dan joined us in 1989, right after graduating from St. Joseph High School, and has been an integral part of the organization ever since. He looks forward to serving you all in the future. Finally, Marge Wiatrowski, owner of the business and associated with it since 1968, has officially donned the mantle of general manager — a job she says she hopes will let her spend more time with her husband and grandchildren. We hope your wish comes true, Marge; but we’re not going to bet on it. **Ryan Thornburg is no longer associated with Tosi’s Restaurant; we wish him well. New service passages that provide handicapped access to the main floor of the restaurant and lets our staff serve patrons in the Florentine Room and on the Veranda without going through the lobby! We want to call your attention to our new logo, based on the exterior of our new entryway, and created for us by local artist Matt Payovich. We thought it was about time for a new look … and we’re mighty pleased with it. Look for it on our wine bottle labels and various gift items … and in our advertising, too. No changes to the signature, though; some things are just too good to change! Our covered valet parking, Porte-Cochere, was completed in 2005 which complimented the renovations done in 2002. 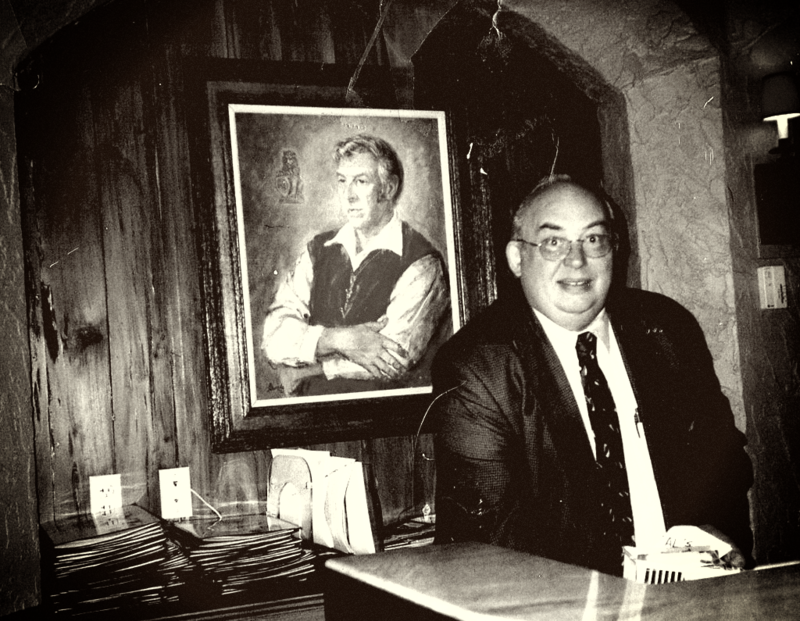 November 2006, we lost a wonderful husband, father, co-worker, and friend with the passing of Arnie Wiatrowski, co-owner with his wife, Marge, of Tosi’s Restaurant … and for many years, our front desk host. All of us at Tosi’s wish to express sincere thanks for the overwhelming outpouring of condolences – cards, flowers, letters – from friends all over the country. They’ve been a great comfort to Marge and her family during these difficult times. With our first ever Point of Sale Computer System that went live on Monday, May 12, 2013. Hours: Mon. – Sat. Doors open at 5 p.m. We seat for dinner Mon. – Thur. 5:30 p.m. – 9 p.m. Fri. 5:30 p.m. to 9:30 p.m. Sat. 5 p.m. – 9:30 / 10 p.m.